Somersault is a very welcome return by Beach Fossils. Four years between albums is long time for an indie band, and such extended hiatuses don't always signal good creative juices. But we are happy to report that Beach Fossils return in extremely good shape. In fact, we are joking around here that the title of the album may be a nod to the somersaults of barely restrained joy that fans will execute upon hearing this great set of songs. At least we think it is a joke, but maybe not. The opening chords of "This Year" suggest that we are in familiar Beach Fossils territory -- intimate guitar pop with hooks and harmonies. But as the track, and the album, reveal themselves we are treated to a richer arsenal of ideas and sonic tools, and a more precise execution. The variety is impressive, with lush, hazy songs offset by more urgent tracks and robust rhythms. And the band expands their reach even further with guest vocalist Rachel Goswell of Slowdive on "Tangerine" and Cities Aviv on "Rise". The songwriting is crisp and focused, and the band plays with confidence. The songs are layered, but not fussy, and the vibe is perfect summery warmth. 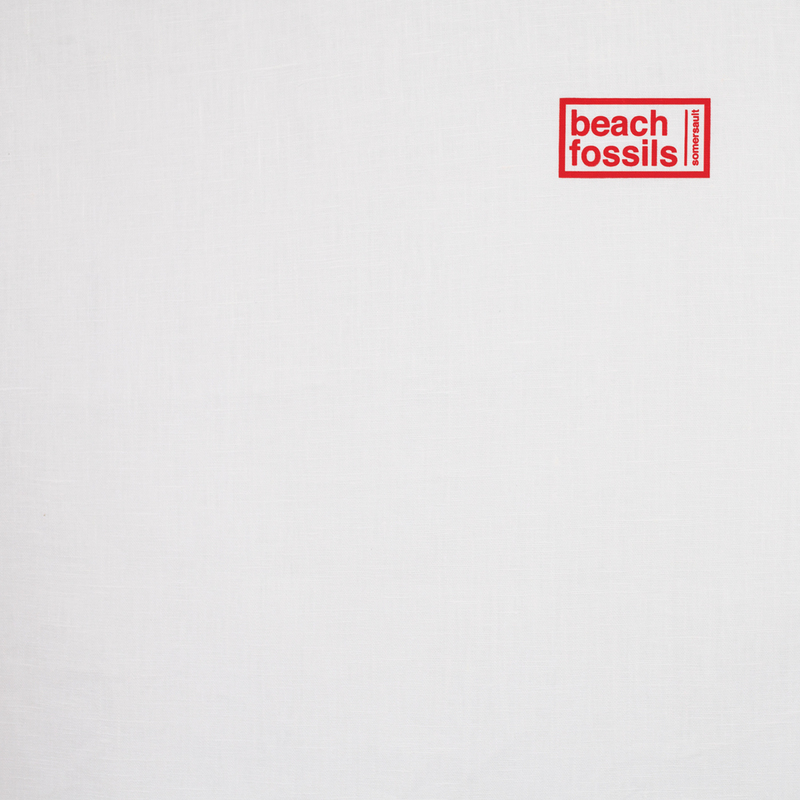 Clearly, Beach Fossils have used their 'down time' very wisely, and that is great news for us fans.